Saturdays we set aside to honour our small furry friends. 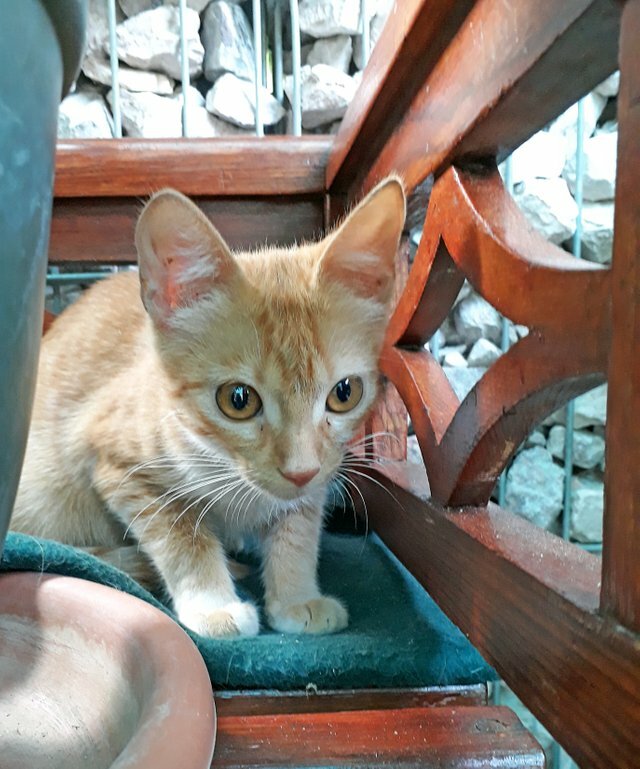 And today I am sharing a photo of a small kitty which a friend of mine rescued a few days ago. She is still a little shy but getting used to her new surroundings as well as the dogs quite quickly. small kitty is so sweet!!! Cute cat! I've got a guest kitty staying at my house for a few months. He just arrived today. So far he hasn't stopped growling...hopefully he settles down soon. He just spent about 2,500 miles in a car though, so I don't blame him. Poor kitty, that is a pretty long car ride. Definitely understandable. Your friend has a good heart for rescuing the kitty. Not everyone is willing to just rescue animals in need. Such a cutie glad she has a home. Adorable with those huge eyes of innocence looking back at you! Hope this kitty is happy with her new home!